To get most out of your tobacco, herb or marijuana turn them into fine ground pieces by using best herb or weed grinder. The more finely ground weed is the better, even, slower and consistently will it burn. 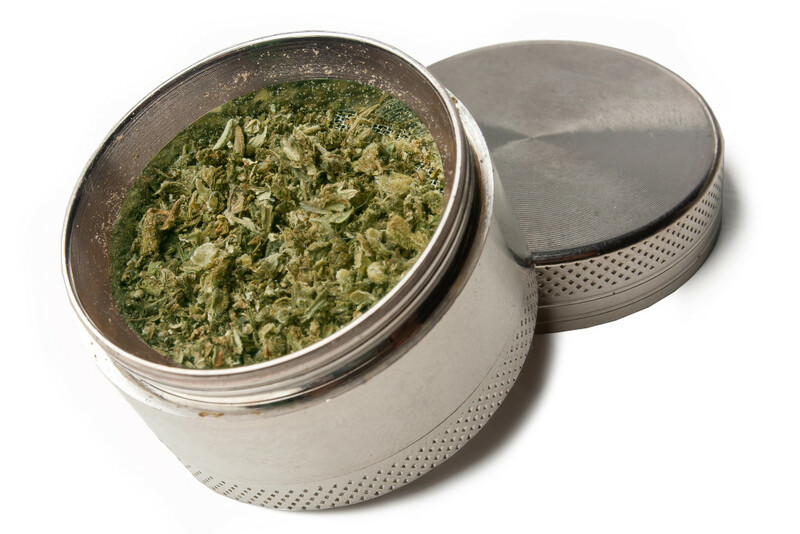 There are several types of herb grinders including plastic, metal or wood. As most of them are hand cranked, you can also find some electrical grinder. While searching best grinder, you have to find out whether you need multiple compartments and kief catcher or not. Usually plastic or wood grinders are cheap, have single compartments and break easily. In contrast metal grinders are durable, grind fine, but are costly. We usually believe it is worth to buy metal weed grinders as they work better and are worth premium paid. Sharpstone is the best grinder. It has 4 piece or 3 chamber metal grinder which is priced very reasonably. Grinder is made of high grade aluminum and each compartment is tightly sealed. A stainless steel screen is there on the top as well as on the bottom to filter in kief that are pure THC crystals inside marijuana plant. Teeth in grinder are shaped similar to lightning bolts and they are secured tightly on grinder. Teeth are spaced enough to get fin in medium sized chunk and can grind weed or marijuana into fine powder within few turns. The build quality is superior and it doesn’t feel cheap. It comes in variety of colors and sizes. Clear top or black color are fine and medium size is fine for most if not all activities. Large size is an overkill and smaller one is too small. Its operation is very easy. Open the lid snapped through magnets and fill marijuana in smaller chunks. Snap lid shut it and twist grinder with hands couple of times back and forth. The teeth will cut away weed inside. After this twist open compartment to collect grounded herb or weed. Overall, we never found any complaints or problem with Sharpstone weed grinder and believe that it is best weed grinder for your buck. We tested it for breakage and found no problem and it grinds the weed real good. 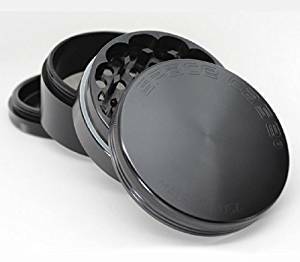 Space Case is premium grinder and considered as Rolls Royce of herb grinder and comes with high price tag. It comes in large, medium and small sizes. But medium one is good enough for 1 to 4 people. 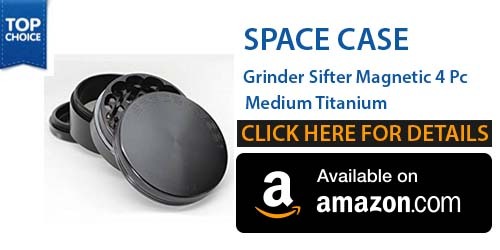 Grinder is actually built solid with titanium. When you hold it feels light and durable and never corrode with time. What makes it so expensive and superior is that its every minute detail is fine tuned. Its lid snaps perfectly and seldom wears down. Its diamond shaped teeth are perfectly spaced and fined tuned to grind all types of herbs. You can easily open the compartments easily and it never get stuck. Kief filter is really durable and it never be clogged. You will not have malfunction or jam with it. Additionally as a cherry on its top, you get street cred and bragging rights when you own such premium grinder. To test its durability we dropped it several time and found no breakage and even no scratch. The O-rings attached with it gives a smooth grind because avoid any rubbing between the metals. Medium size of it is 2.5 inches diameter which comes with kief catcher compartment that is very useful to collect THC crystals. It also comes with space case guitar pick that can be used to pick pollen. Space Case has been in the business for long. It is a quality craftsmanship made in USA so go for original only and beware of copies. Cali Crusher is economical grinder which can be compared with Sharpstone. It is a 4 piece metal grinder which grinds bud and marijuana well. It’s made from aluminum and available in various colors. We like its limited edition purple that become a trademark color. As compared to Sharpstone, Cali Crusher is slightly more durable, however it grinds a bit worse. On drop test, it took more beating as compared to Sharpstone. But, when it is about grinding speed, Cali Crusher is worse than Sharpstone which grind smoother and faster. It comes with lifetime warranty, as they are much confident that it will never break. Its lid is magnetic therefore you can open and close it easily. Kief filter works well to maximize the Kief or THC crystals collection. Additionally the teeth are non-sticky therefore marijuana would not cling inside the grinder that really becomes annoying. The only complaint we found was that the compartment becomes bit loose after you use it because O-rings tend to become loose easily. 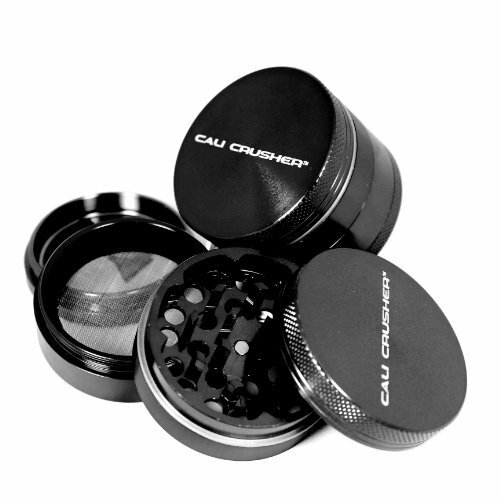 All in All if you need best grinder within your budget, look into Cali Crusher. It is extremely durable and can survive being dropped several times. However if you need a high speed smoother grinding, buy Sharpstone. Platinum herb or weed grinders are one of the premium line in the industry. 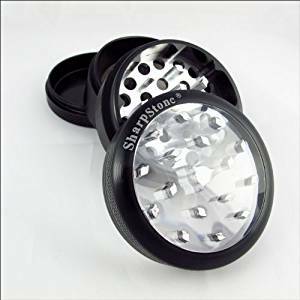 If you are sick of crappy and cheap plastic weed grinders or worried to pay much on low quality or if you are looking for premium at low price, this one is for you. 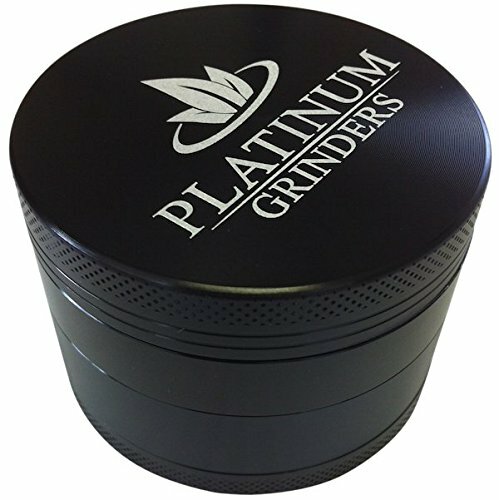 Platinum Grinders is best and high quality herb or weed grinders. Although higher prices, but justified with the quality and the consistency of grinding. It has perfect razor sharp 49 diamond cutting teeth design give amazing produce with extreme efficiency and painless grinding of dry herbs and spices. Its stainless Steel Micron Mesh screen filters fine powder or pollen in catcher. A pollen scraper also comes with the pack. It is meant for precision milled and made by strong aircraft grade aluminum for extra durability, toughness and premium quality and its 4 pieces, 2.5 inches size is perfect for all the grinding needs. It will never peal or flake and it has a black anodized finish which makes it amazing as well as avoid pealing, flaking or smudging marks as well as make it scratch resistant. For incredible closure, odor and freshness control there are strong Neodymium Magnets. On the top and bottom pieces there are textured grooves for slip free grip when you are shredding or grinding the weed, spices or herbs. A thin Poly O-Ring is there for less friction and smooth grinding. It comes with 100 percent hassle free Platinum and Money Back Guarantee for complete satisfaction. When it is about quality, Santa Cruz herb grinder is nearly same as the Space Case. 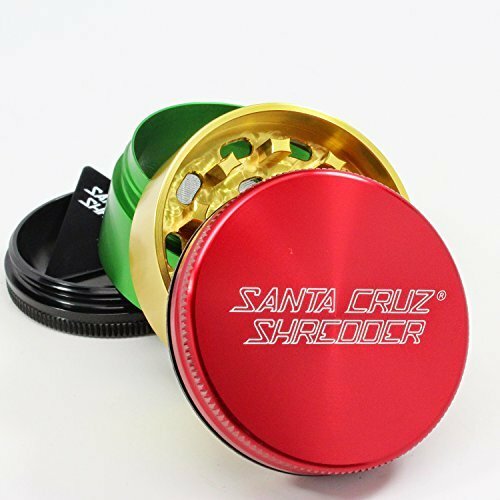 Santa Cruz is actually the first herb and weed grinder which was designed particularly for medical marijuana patients. It is anodized to make it completely durable against all possible scratches. Moreover, this herb shredder will most definitely do not let any aluminum pieces form being mixed with the grinder. It’s case is anodized which makes its durable to any possible scratch. In addition, the shredder will most definitely not let any pieces of aluminum to be mixed with your grinder. About Santa Cruz herb shredder, you never like to miss its exclusive metal teeth shape. Commonly grinders have diamond cut teeth, but Santa Cruz shredder is getting out of what is common out there and is making its unique name in the market. Its rectangular shape cutters can help you to grind the weed more finely. It is made from a high quality metal and machinery to give you a satisfying produce. Although a bit pricey it really worth it.